The quick picture of Israel Evans: — His Character. — Ordained Chaplain in the Army. 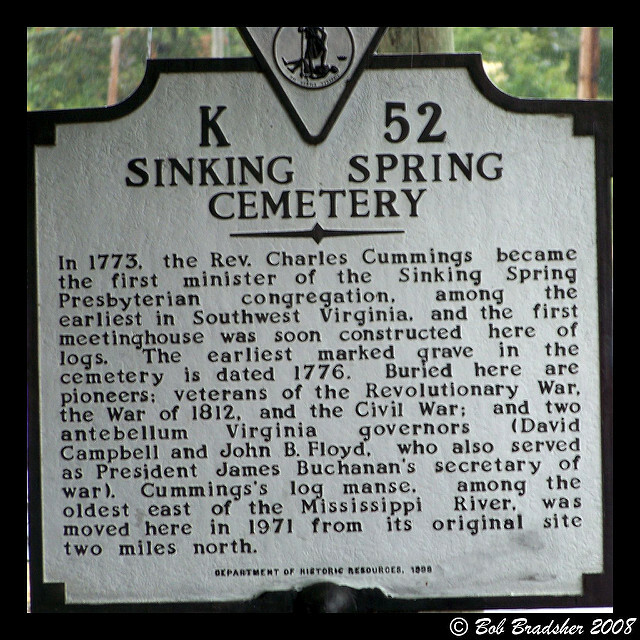 — Remains with His New Hampshire Brigade through the War. — Stands Beside Washington at Yorktown. — Anecdote of Him and Washington. — His Sermon on the Field of Battle. — Settled at Concord, New Hampshire. — His Death. John Witherspoon is one of my most favorite pastors and statesman. He was a strong Patriot working side by side with Sam Adams: — The Clergy as Statesmen. — Witherspoon a Scotchman by Birth. — His Early Life. — Is licensed to preach. — Joins the Army of the Pretender. — Taken Prisoner at the Battle of Falkirk. — His Eminence as a Theologian. — Is elected President of Princeton College. — Flattering Reception in this Country. — Takes Sides with the Colonies. — Elected Member of the New Jersey Legislature. 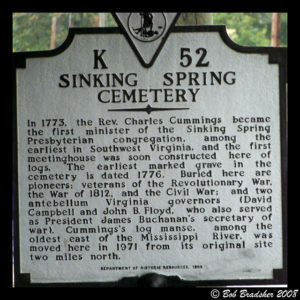 — Scathing Attack of Governor Franklin. — Elected Member of Congress. — His Speech on the Declaration of Independence. — His Great Services in Congress. — His Death. The details of Daniel McCalla exemplify the core of leadership in the extensibility of the True Gospel: — His Birth. — Graduates at Princeton Ween eighteen tears of age. — Studies for the Ministry. — Settles in Pennsylvania. — Appointed Chaplain under General Thompson. — Is taken Prisoner in the Attack on “Three Rivers”. — Thrown into a Prison Ship. — His Suffering And Fortitude. — Released on Parole. — Flees to Virginia. — Settles in South Carolina. — His Death. 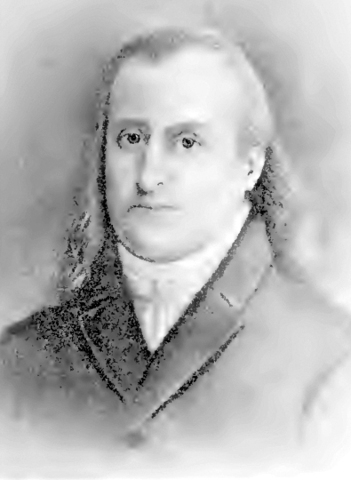 Charles Cummings was distinguished as: — An Irishman by Birth. — Settles in Virginia. — Esters the Ministry. — Fights the Indians. — Goes armed to his Church. — Takes the Lead in the political Movements of the People. 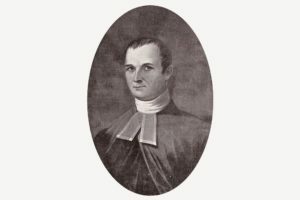 — Chaplain to the Army in the Expedition against the Cherokees. — His Death. 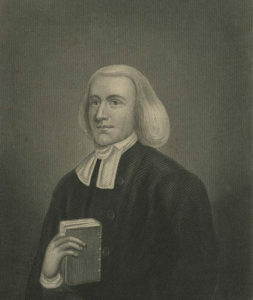 Charles Cummings came to America as a young man. He became a minister and lived at the very edge of danger. He was a leader and fighter both for glory of God and the birth of a new nation. 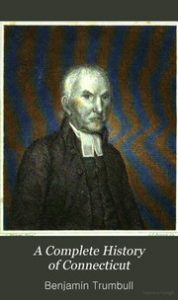 This Chapter about John Gano contains — The Baptists Of Virginia. — Gano’s Early Life. — Visits The South And Preaches. — Arraigned For It, But Is Acquitted And Licensed. — Anecdotes Of His Coolness And Courage. — Settled In North Carolina. — Offered A Captain’s Commission In The Army Against The Cherokees — Declines. —Returns North. — Finally Settles In New York.— His Congregation Broken Up. — Joins The Army As Chaplain. — Under Fire At White Plains. — At Trenton. — Chaplain Under Clinton At Fort Montgomery. — His Description Of The Taking Of The Fort. — With Clinton’s Brigade At Albany. — Its Chaplain In The Expedition Against The Indians. — Anecdotes Of Him In This Campaign. —Sermon On The Fourth Of July. — His Faithfulness. 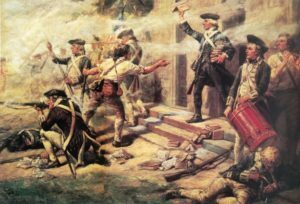 — Goes South With The Army Advancing Against Cornwallis. — Returns To His Church At The Close Of The War. — Removes To Kentucky.—His Death. 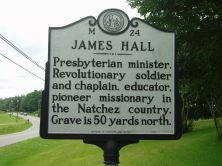 James Hall — His Birth and Education. — Settled int North Carolina. — Rouses His People to oppose the Mother Country. — Is made Captain of a Company of Cavalry. — Acts also as Chaplain. — Marches to South Carolina. — Offered the Commission of Brigadier General by Greene. — Declines. — His After Life. Reverend Hall is another Pastor who lead from the Front. He was thirty-one when he entered college under the tutelage of Dr. John Witherspoon. Dr. Witherspoon recognized his great mathematical skill and want to keep Hall on as a teacher at the university. But Hall understood his call from God to preach. 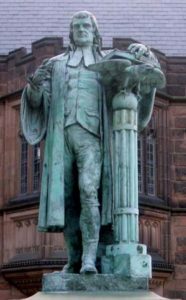 Samuel Kirkland has an amazing life: — His Birth and Education. — A Teacher in Dr. Wheellock’s School. — Goes a Missionary to the Indians of New York State. — His Labors and Perils. — His Mission broken up by the Revolution. —Employed by Congress to Keep the Indians from joining the British. — Prevented by Brandt. — Chaplain in Sullivan’s Brigade. — Accompanies it to Genesee Flats. — Services rewarded by Congress. — Settles among the Oneidas after the War. — Founds Hamilton College. — Is thrown from his Horse. — His Death. This Chapter regarding Reverend Benjamin Trumbull contains: — His Birth and Education. — Takes Sides with the Colonies. — Enters the Army as Chaplain. —Fights in the Ranks. — Curious Interview with Washington. — Fights at Whiteplains. — Anecdote. —Fights at NewHaven. — Returns to his Parish. — Writes the History of Connecticut. — His Publications. Trumbull was one of the one hundred who performed a delay action in July 1790 when New Haven was being invaded. This was the same battle that Dr. Dagget “the reverend professor of divinity, with his long fowling-piece on the hill-top,” was taking the sniper shots into the advancing army. As with the previous chapters we see the Pastor taking the leadership in standing before God and in the literal fight for justice against tyranny. James Caldwell: — His Birth and Ancestry. — Personal Appearance. — Power of his Voice. — His Character. 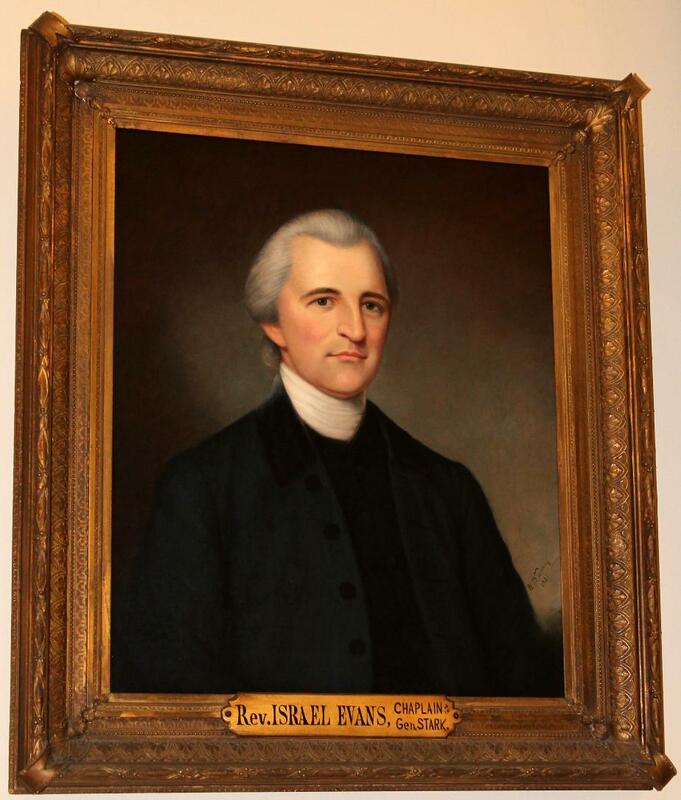 — His Congregation at Elizabethtown.— Made Chaplain. — His Toast on the Reception of the Declaration of Independence. — His Activity. — Rewards offered For His Capture. — Removes To Connecticut Farms. — Goes Armed. — His Services — Letter To Lee. — Assistant Commissary General. — Last Interview With His Wife. — Her Murder. — Fight At Springfield. — “Give ’em Watts”. — Murder of Caldwell. — His Funeral. — His Children. — Monument To Him.